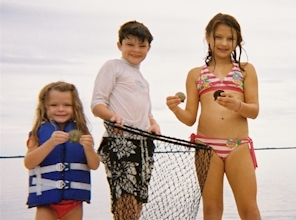 Scalloping in Crystal River is an exciting recreation for the whole family. It's no wonder people come from all over the country to go scalloping in our local waters. What could be more fun than spending the day on the water, relaxing and diving for bay scallops with your family or friends. Our fishing guides are experienced and very knowledgeable of the area, as well as licensed and insured. Our guides provide everything you need to go scalloping. Just bring your swimming apparel, cooler & camera. 2018 Scalloping Season begins on Sunday July 1st and ends on September 24th. Reserve Your Scalloping Trip Now! are guided in Crystal River & Homosassa Area. For Florida residents, persons between the age of 16 and 65 must have a valid Florida saltwater fishing license to harvest bay scallops. Non-residents over the age of 16 are required to buy at least a limited-time license, unless they are fishing (scalloping) from a for-hire vessel operated by a charter, guide or party boat that has a valid vessel license. 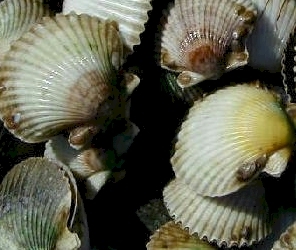 Scalloping season usually runs from July 1 through September 10 each year. However, the State of Florida has allowed for a longer season the last few years by opening on the Saturday preceding July 1st and then closing a couple weeks later on September 24th. Scalloping is allowed from the Mexico Beach Canal (in Bay County) to the Pasco-Hernando County line. The per-person limit is 2 gallons of whole scallops in the shell, or 1 pint of scallop meat per day. No more than 10 gallons of whole scallops or 1/2 gallon of scallop meat may be on board any vessel at any time. 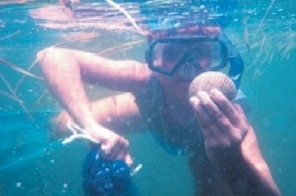 Scallops must be harvested by hand or using a landing or dip net. Flag must be at least 20 inches by 24 inches and should only be displayed while scallopers are in the water. All boats must make efforts to stay within 300 feet of another divers-down flag on open waters and within 100 feet of a flag within rivers, inlets, or navigation channels. Scalloping areas are mostly found several hundred yards up to a few miles from shore so a boat with a motor is recommended to get to the best scalloping grounds. 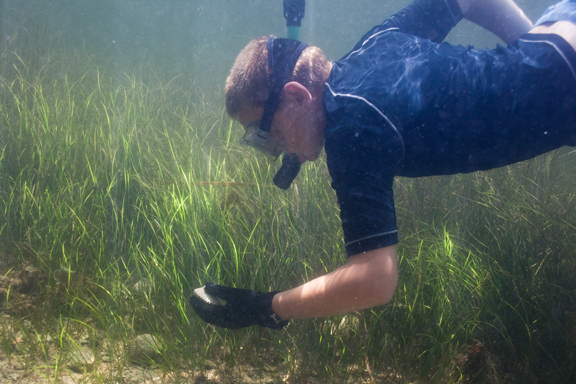 Many scalloping grounds are in shallow water, so it is possible to wade for bay scallops in the seagrass, or to collect them from a small boat using a dip net or a landing net, but these methods are not as productive as snorkeling in the water with mesh bag in hand. Scalloping is fun and exciting and a great way to spend a day on the water in the hot summer months. 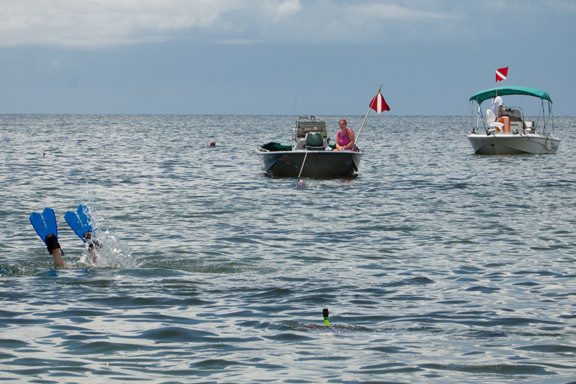 Scalloping is easy for swimmers and can be enjoyed by all ages. Don’t forget to bring lots of sunblock, ice and drinking water.